Wes Anderson’s Rushmore is one of our favorite high school movies. Max Fischer, played by then unknown Jason Schwartzman, tells us the secret. I believe if you grasp this one idea you will have more fun, joy, and success in your life. It is the key to having the passion that separates you, your company, your brand, and your cause from the masses. Learn this secret and your work will be extraordinary. Here is a link to the clip from the Film Rushmore. 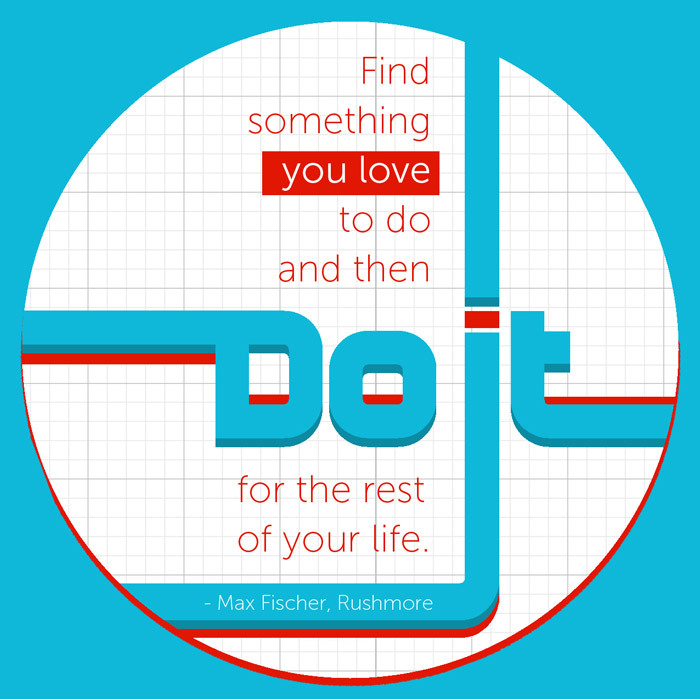 What is it that You love to do? If you know what it is you are lucky, go and do it! If you don’t know what it is don’t worry. Get out of your comfort zone, keep trying new things, and you will find it. Thanks to David Horne for the inspiration for this post. Jeff, I love blogging. For the longest time, I did anything but blog because I was afraid of following my love. Now, I do it and sometimes I find success and sometimes I don’t but I always do what I love. Your image is wonderful by the way.